Chic yet practical, this knitted jacket be Beige Label is set off with a wide grey lapel and front pockets. 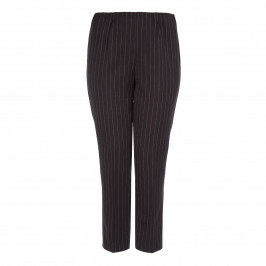 Team with Verpass pinstripe trousers for an easy office look. Black jersey jacket with contrast grey lining, single button fastening and patch pockets. 42% Viscose, 39% Polyester, 19% Polyamide. Hand Wash Only.